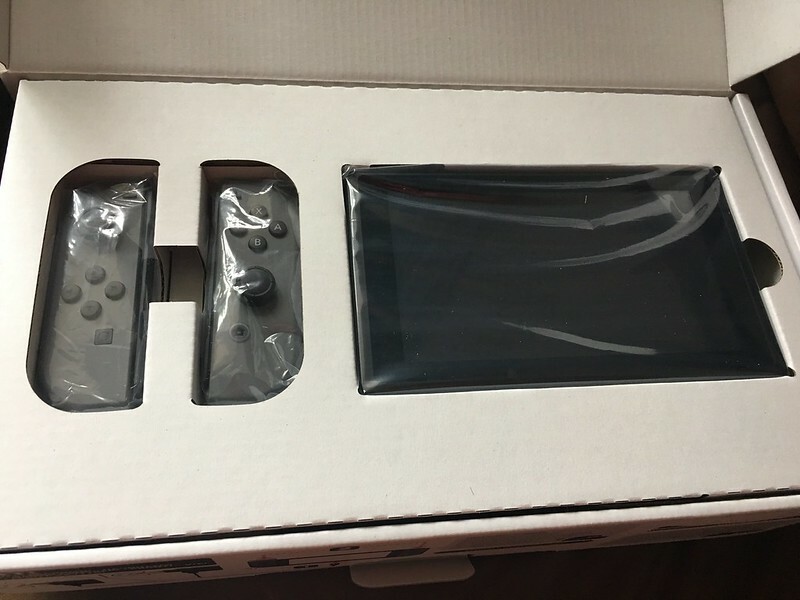 Friday my dark grey Nintendo Switch arrived. I had not bothered with the Wii U, in fact it marked the first console I had not bought for a long while. The Switch however, well it looked too good to pass up. Especially the gadgetabulous transforming nature of it. 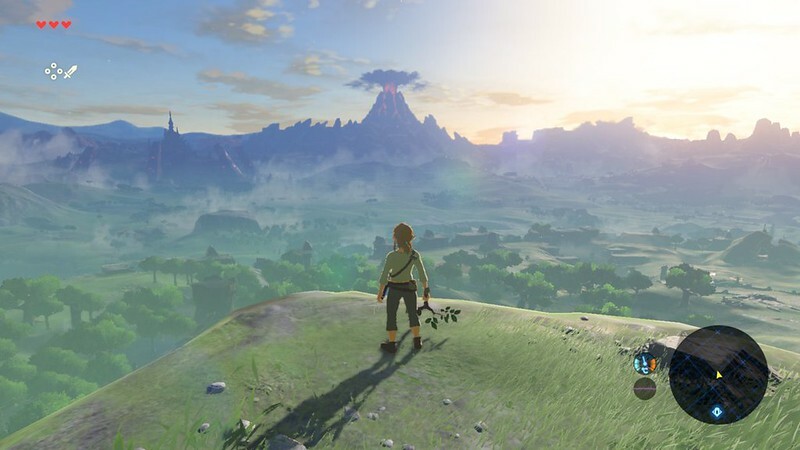 Of course there was also the new Zelda, getting rave previews for being such an engaging open world evolution too. I figured with all the work travels I do now it would be good to have some quality gaming in my backpack. 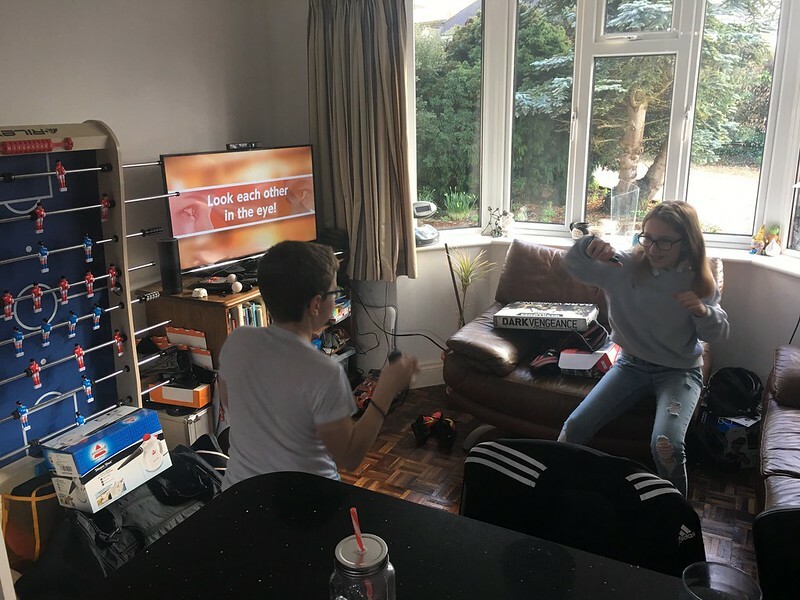 We spent Sunday afternoon playing the party game 1 2 switch in which mini games are presented such as quick draw, or gorilla dancing, the motion elements of the controller being exploited. The games are places facing your opponent, with all the action prompted by audio or vibration cues. Multiplayer face to face with imaginary scenes is a new twist. The Switch screen is just there to show the score afterwards. One very nice example is having to guess how many marbles are in a box, the box is your joycon, as you move it the vibrations feel like a number of marbles bumping into one another. Its very subtle and very clever. All these are good fun party games, very Nintendo and I look forward to lots more. However there is serious gaming too. The Legend of Zelda – Breath of the Wild is just a stunning achievement. The environment is huge and varied, the crafting and puzzle solving needed gives a real feeling of adventure. The heart stopping moments when you stamina disc is decreasing but you are climbing higher up a tower and only just make it by the last little blip, it goes on. It has taken from many other games, but kept is Zelda with Link running around saving Hyrule. There are towers to climb to unlock maps (like most Ubisoft free roamers), there are find the area by a photo, there are horses to not just catch but gradually tame, plants to collect and meals to cook with special properties, clothes to buy and dye, paragliding, bow and arrow and I assure a boomerang will turn up soon for me too. Dotted around the land are shrines, more in keeping with the Zelda themes these puzzle rooms let you use your fancy powers (one gained) to move and manipulate the World. Rather like Portal 2 did it makes you think you are stuck, then you try something odd, it works and you feel clever. One puzzle (no spoilers) use the motion controller, and my solution was just smirk inducing, a truly memorable gaming moment. I had assumed it was all cartridges and no downloads, but its not. All the games are digitally downloadable. I had order Bomberman, Switch 1 2 and Zelda on carts, but Amazon were not able to deliver Zelda on release day so I cancelled it. When the parcel arrived I downloaded Zelda, and I wish the other 2 games had been digital now as the cartridges are so tiny they are annoying. I bought a 200gb memory card as the 32gb in the machine is half full already with Zelda, but that is much better than having to cart carts around. Also the battery is only 3 hours or so playing Zelda, not ideal for long plane journeys, but I will have to test that out later. Either way its a great addition to the console family and has exclusive titles. So thats all fine by me.